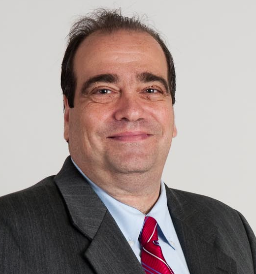 Rich Coutinho is the New York Mets Beat Reporter for FiOS1. 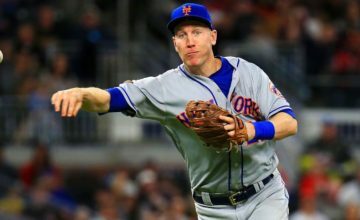 I am worried about SS but not from an offensive standpoint–I need to see better defense at SS From Flores because to me Murphy is average defensively and that concerns me. That being said, I want to give Flores a chance because he has worked so hard and deserves it. I’d watch the Tulo situation carefully–There are very few people I’d trade Noah for but a Tulo package is 1 I’d consider if Rockies do more than just tip their toes in the Tulo Trade Waters. NL East is not a pipe dream but clearly Nats are heavy favorites. Step 1 is starting to play them head to head better and I do believe the Mets rotation may be far less in payroll than the Nats but decently close in ability. I also think a full year of this BP makes Mets a better team than in 2014. Still Nats are loaded but in today’s baseball getting to the playoff party is the key–Ask the Red Sox in 2004 and SF Giants last year–so to me you are chasing a win total not necessarily a team–and the math is simple–90-72 is 18 games over 500 which means in a 6 month season that’s averaging 3 over 500 per month. David Wright was not healthy last year but refused to use as an excuse but I will–I’ve watched tons of tape last year and his follow through at the plate was choppy compared to early season swings that were fluid and extended through the strike zone. Also, he has more protection this year with Cuddyer which will help. David Wright is a tireless worker–first to arrive to park every day–and in his heart stayed here because he wants to win a championship. I will even go further than that–his mindset is ALWAYS positive and he leads in that room more than people think. He will not be a marginalized player–in fact I am predicting .310–20 HR’s 100 RBI for Wright. One thing I learned from covering Mike Piazza is he taught me making pitchers navigating through a challenging lineup produces runs and wins. To Me, Cuddyer helps extend the Met lineup and I believe Wright and Duda will benefit from his presence. I do believe Granderson is a key because if he joins that trio then Murphy becomes a 5th guy and your complimentary offensive bats of Lagares, d’arnaud, and Flores are in less pressurized roles. The biggest problem with Met offense in recent years has been automatic bottom of the order outs and that’s not the case this year. Still, I’d like to see a bona fide lead off hitter but am willing to give Lagares that shot in the early season. I grew up in the Bronx at a time the Yankees were an absolute afterthought–late 60’s early 70’s and covered the Mets for the first time in mid 80’s when that was again the case. I really do not hate anybody other than criminals who abuse others. I always tell Met fans concentrate on your team let NYY fans worry about Yankees but I do understand. And I always tell Met fans tell NYY fans this: The Mets extended the Curse of The Bambino but the NYY ended it. Seriously, I lived in a Mets House where Lindsey, Bob, and Ralph were ALWAYS family and in the background while MOM cooked up a storm. And she’d always say, “Rich you see the Yankees–that’s an illustration of the one thing that’s wrong in America–greed and avarice are negative but always remember the 69 Mets prove dreaming is not only OK but mandatory.” Yes I will always LOVE MOM. She passed in 2004 but My Dad at age of 88 feels the same way. There are so many choices but I do think the sushi is underrated–The Italian food is good and so is Shake Shack. By season’s end Mets will be 89-73 in the playoffs and heading for the Sports Final 4. Thanks for this from the biggest #wilpon shill out there not named Matthew Cerrone or Michael Baron. That makes me a Wilpon shill? How did I earn that badge? Good interview. I enjoyed it. Ignore the troll, he’s not a real Met fan, he’s just a hater.